Nina is one of the first women to be hired as an airline and corporate pilot. She is an accomplished author and retired corporate jet pilot. She has flown various regional airliners and corporate jets including the Hawker, which is the airplane where the action takes place in her novel, 2012 Airborne Prophesy. 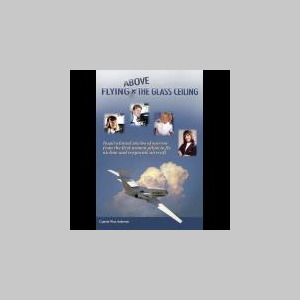 Her new book Flying Above the Glass Ceiling comprises personal success stories of women airline and corporate pilots (including Nina’s story) who were the first contemporary women to break into an occupation previously dominated by men. She has also been an active researcher in the alternative health field for over twenty years and has co-authored 17 books including Worse Than Global Warming, Atlantis Today - The USA. Cancer Disarmed, ADD, The Natural Approach, Super Nutrition for Dogs n’ Cats, Nutritional Leverage for Great Golf and Analyzing Sports Drinks. Nina has a BA from Monmouth College.